The leader of Ukraine's Radical Party, Oleg Lyashko, lashed out at the country’s interior minister on Wednesday, calling him a “moron.” He justified the actions of radicals who recently beat up several MPs, adding that “no law is valid” in Ukraine. In a heated squabble on Facebook, Lyashko slammed Interior Minister Arsen Avakov for his criticism of the recent violence against MPs from the Party of Regions. On Tuesday, radical supporters of Lyashko beat up two MPs. Nestor Schufrich received a concussion, while Viktor Pilipishin was thrown in a trash can. In response, Lyashko called him a “moron” and threatened to “dump him like trash” too. “Today Ukrainian patriots are lustrating ‘regionals’ [members of the Party of Regions] through a landfill, and tomorrow [they] will throw in a landfill Avakov and others like him, who have forgotten what Maidan was standing for after taking up their posts,” he wrote on his Facebook page. 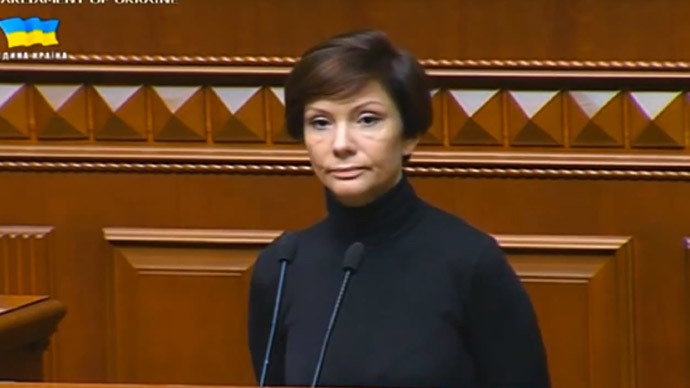 There have been numerous incidents of violence and “trash dumping” of parliament members following the adoption of the so-called lustration bill in September, which bans the closest allies of Ukraine’s deposed President Yanukovich from politics. The bill is yet to be signed by President Petro Poroshenko. The lustration of government authorities was one of the key demands of the Maidan protesters. Meanwhile, Ukraine’s attorney general denounced the lustration bill as unconstitutional on Tuesday, saying it counters international norms. The Wednesday comments are not the first of their kind to be made by Lyashko. 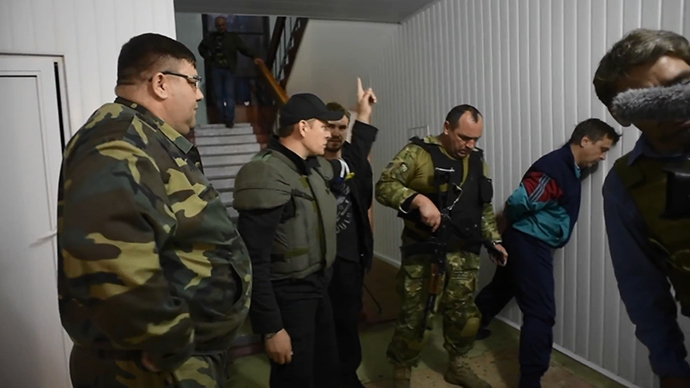 Another video shows Lyashko and two armed persons “interrogating” two men, while one of the captives is shown in his underwear with two bleeding wounds. 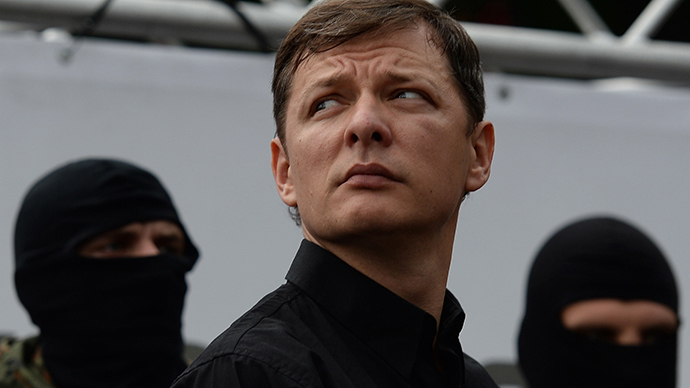 In August, human rights watchdog Amnesty International called for an investigation into the abuse of power by pro-Kiev “vigilantes” known for their nationalist and anti-Russian views, including Lyashko.